It’s no longer a secret that interval training gets results. Time and time again, intervals have been shown to outperform steady state exercise sessions when it comes to burning calories and reducing body fat. Intervals work. Got it. Where do you begin? Well, there are all sorts of interval training programs you can follow to help reduce your time spent in the gym. There are yoga intervals, group fitness intervals, body-weight intervals, and many others. But what if you want to keep it simple? Intervals have got that covered, too. By simply adding a few sprints to your typical jogging/running routine, whether it is indoors or outside, you can reap the benefits of interval training without having to put much thought into your workouts. 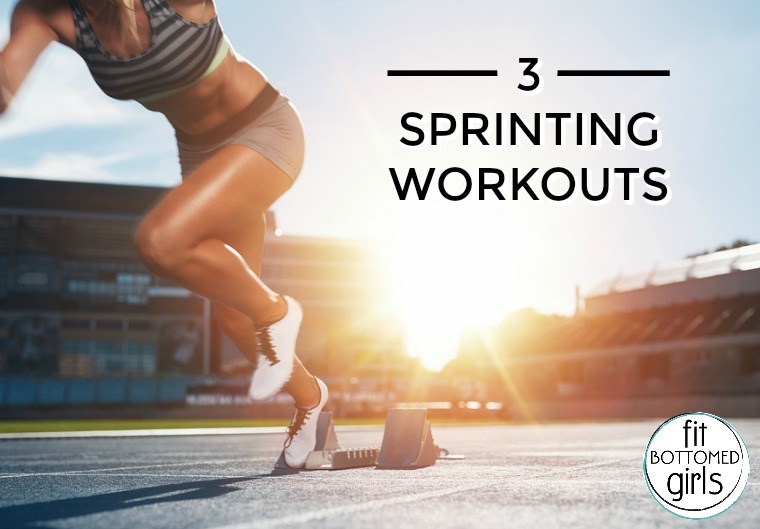 Before we dive into the details of these three sprinting workouts, it’s important to mention that this style of training is best suited for those who already have a bit of a running base. If you haven’t been out jogging for several months, start with a few gentle run sessions to get your body back into form before you tackle these sprint workouts. Now go try these for yourself! Dave Smith is a professional fitness and weight-loss coach who was chosen as “Canada’s Top Fitness Professional” in 2013. He shares awesome health and weight-loss tips through his blog and podcast that you can find at makeyourbodywork.com. Interval training is great for boosting metabolism. I recommend it often to my weight loss clients for my online personal training business. Nice workouts. These are essential for all those who wants to stay fit. I was also planning to go for the fitness program- élastique fitness from https://www.cellublue.com/fr/product/kit-elastique-elastibody/. The élastique fitness is good way to get a fat free and toned body. I am hoping to get a perfect slim body soon.